Be the first to share your favorite memory, photo or story of Mary Susan. This memorial page is dedicated for family, friends and future generations to celebrate the life of their loved one. 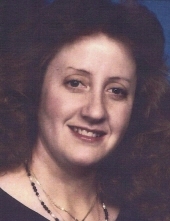 Mary Susan “Sue” Dancy, age 62 of North East, Maryland, a loving wife, daughter, and mother, passed away Wednesday, January 9, 2019, at Christiana Hospital in Newark, Delaware. Sue was born February 10, 1956, in Baltimore, Maryland, a daughter of Lonnie Mack Mullen and Mary Viola Baumgardner Mullen of Morehead. In addition to her parents, she is survived by her husband of 27 years, Dana D. Dancy; one daughter, Maryanna K. “Katie” Dancy and husband Morgan A. Hicks of Elkton, Maryland; one sister, Carol Ann Jenkins and husband Rev. James Jenkins of Greig, New York; four nephews, Jamie, Michael, Timothy, and Benjamin Jenkins; extended family; and friends. Sue retired as a police officer after serving 22 years with the Maryland Transportation Authority. She was a loving wife, daughter, and mother who enjoyed flower gardening, vegetable gardening (especially raising tomatoes) and attending church. She was a member of Gateway Baptist Church, Rising Sun, Maryland. Private funeral services will be conducted 10 a.m. Tuesday, January 15, 2019, at Northcutt & Son Home for Funerals with Pastor Dave Landers officiating. Burial will follow in Sardis Cemetery. Nephews will serve as pallbearers. To send flowers or a remembrance gift to the family of Mary Susan "Sue" Dancy, please visit our Tribute Store. "Email Address" would like to share the life celebration of Mary Susan "Sue" Dancy. Click on the "link" to go to share a favorite memory or leave a condolence message for the family.